I have always loved Reese's Peanut Butter cups. Always. They are the first candy bar I pick out at the gas station or grocery store line. Twix is a close second though. Maybe it's because you get two in a pack? Well, Matt and the boys had been asking for cookies but it's so hot and it's a lot of work when they scarf down all the cookies in about 5 minutes flat. 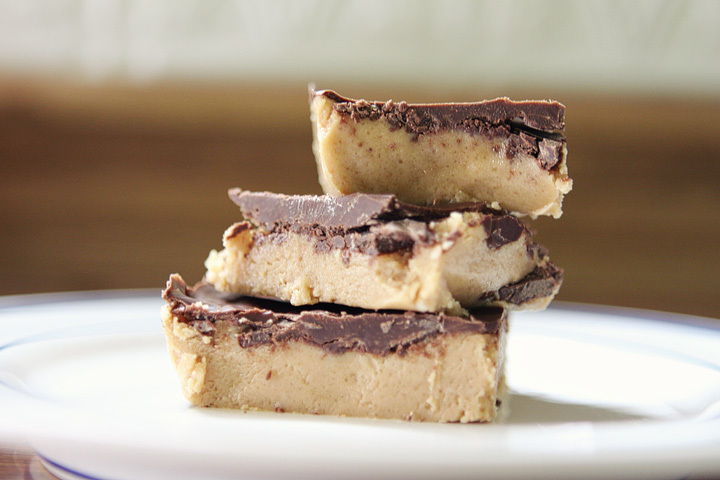 I came across this recipe for no-bake peanut butter bars. I thought I'd take a chance. Whoa! I love these bars! They do taste like Reese's. The chocolate is my least favorite part so these hit the spot. Check out the recipe I used here. These would be good for a Fourth of July Picnic. But you'll have to keep them cool. They would melt just like the real Reese's! um…you didn’t bring these with you? !